If you haven't heard of the mod Tinkers Construct - go play it now! It is an awesome mod that revolutionized some aspects of how tools work. 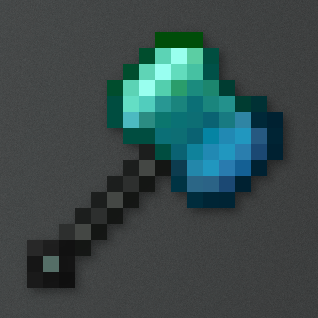 It did however abandon the use of experience so I made a mod that currently adds a small toolset of the second tier tools (hammer, excavator) as well as a sword that does added damage based on the players experience. The Leaves of the tree drop Magnanimous Sticks that are used to craft the Hardened Handle for all of the tools. :O Please consider expanding your method to entirely replace the Tool Forge - ie. I'd love to use this method to make all my tinkers tools. I've already removed the moss recipe from my mod pack to try and balance it out. I'm impressed with your gems, tools and trees, but what I absolutely love is your higher tier tool crafting mechanic. I'm assuming repair needs to be done the same way? Very nice mod. Hope you add saplings. I understand about having them require extra time to grow. 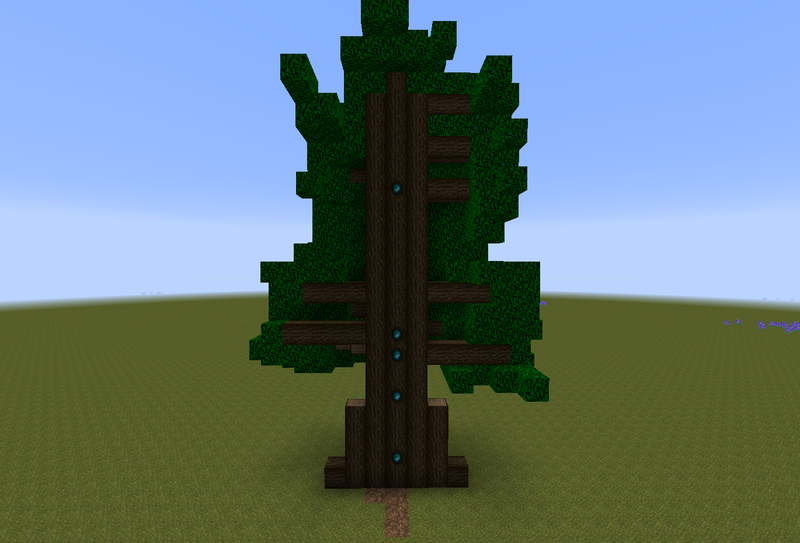 Will you add saplings for your tree? I'd love to use 'em to build with, mostly as pillars for my 'tree house'. I hope to add saplings yes, I don't think the resulting tree with have the gems in it's core though, or maybe not by configurable default. I am also going to ore dictionary register everything and add planks. 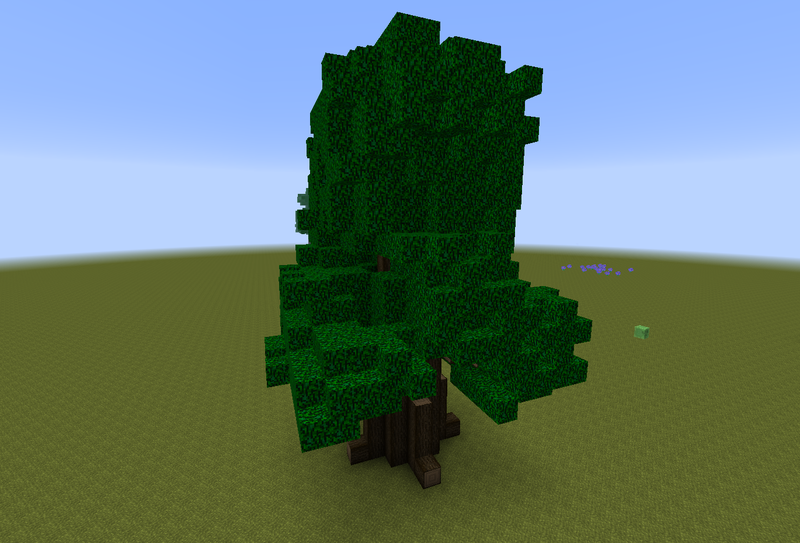 Maybe you can make a tree grown from a sapling only spawn one or two gems, making it renewable while still encouraging players to find worldgen trees for most of the gems. This could be a thing... The sapling would have to take a while to grow, but then the payoff would be quite big for people who are growing the tree for the wood. Would you like to give an example of stats at various levels? Say, 5, 15, 30, 45, 60? I am not quite sure what stats you are referring to; the sword damage currently increases linearly based on the player's experience and the extra damage is in the tooltip. If you are referring to the screenshot with the anvil, the cost is a fixed cost to do the crafting to basically gate the items behind the player getting xp. The cost will be configurable in an upcoming release. Is that one damage per ten levels? Interesting choice. Also it feels like the pickaxe's increased drops might actually be capping at something, not sure if that's intentional, with 9970 levels and "level 398 drop bonus" I'm only getting 4-5 diamonds per ore.
edit: wearing two of a bauble from Witching Gadgets that "boosts your fortune and looting by two levels" (not sure if they stack) and putting fortune on the pickaxe still only gets me to 7.5 diamonds an ore. Currently the sword indeed does 1 damage per 10 levels, this will at the very least be configurable and their may either be a cap, or I may convert it to be an arctangent or logarithmic relationship. The pick does cap out at level 10 fortune, I forgot to carry the cap over to the tooltip, thanks for this. 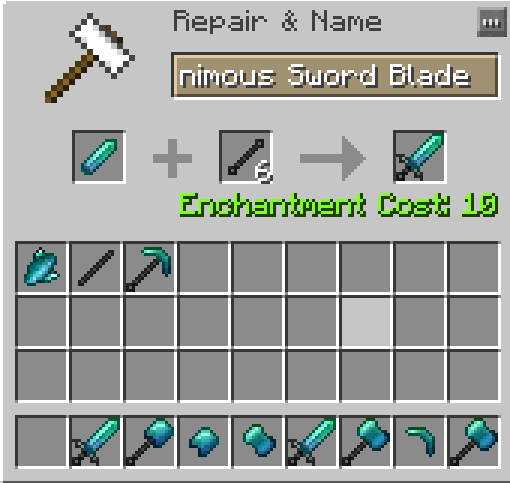 It is also important to know that the "fortune" bonus doesn't actually change the nbt tag for the tool's enchantment, it stacks with the enchantment. So a bauble that grabs the fortune value on the item and then modifies it will still grab the fortune enchantment level of 0. The fortune level value gets passed through the dropBlockAsItem function and minecraft uses various randomization functions to determine what the drop number will be. The max you can get is a bonus of 10, but the average would likely be between 4 and 5, based on the slightly random number I pass, and what happens to it afterwards. I may also change this from a linear relationship as well. I will try to look into how the witching baubles work exactly. Everything is going to get config options as I want to enable players to enjoy the mod how they want. Thanks for your interest and help!